Apologies for things having been a little quite here recently. The committee have been hard at work making plans for 2013 and making sure it’ll be even better than 2012 (which was pretty awesome itself!). Here is our promotional poster for 2013, please do share it with friends and maybe print off a copy to put up at your workplace. We’re always keen to get more people involved in our events, the more the merrier as they say. 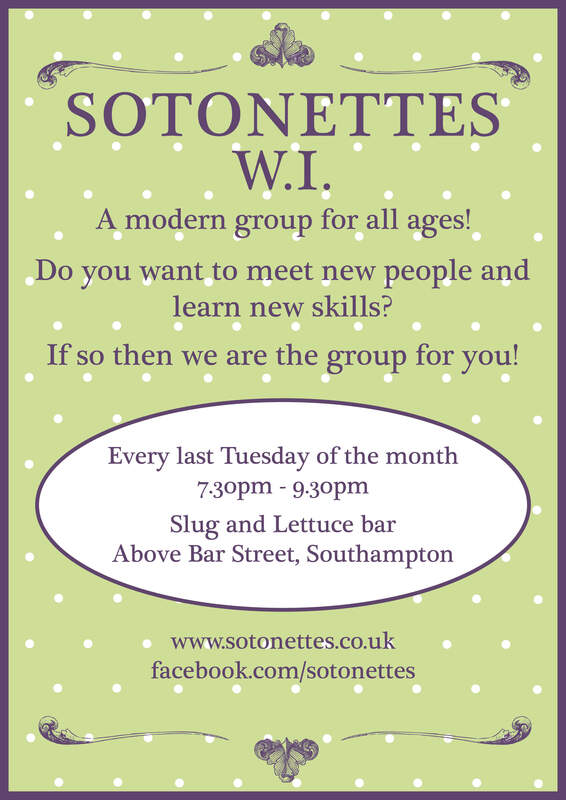 Our first meeting is Dressmaking – Tuesday 29th January, 7.30pm, upstairs in the Slug and Lettuce. Entry for guests is £4. We’ll also be accepting new and renewed memberships which are £33 (cash or cheque only please) for 2013, giving you free access to all our events plus you’ll receive our monthly email newsletter as well as the WI magazine WI Life. We look forward to seeing you next week, and at the rest of our events this year!